About where they sit in the car. . . or who gets the last bowl of the ‘good’ cereal? About who gets the first shower, the comfy seat in the living room, or the chance to talk to Nanny & Pap first? About which show to watch, which person they get to ‘be’ for Just Dance 3, or which Barbie they get to play with? Mine do. And some days, my head feels like it’s going to explode by 6pm. But this little Quick Trick has helped put an end to a lot–a LOT, not all, but A LOT–of the everyday bickering under out roof. Along with other things, like our Gem Jars and Game Tickets, this makes up one piece of the ‘proactive parenting’ puzzle. 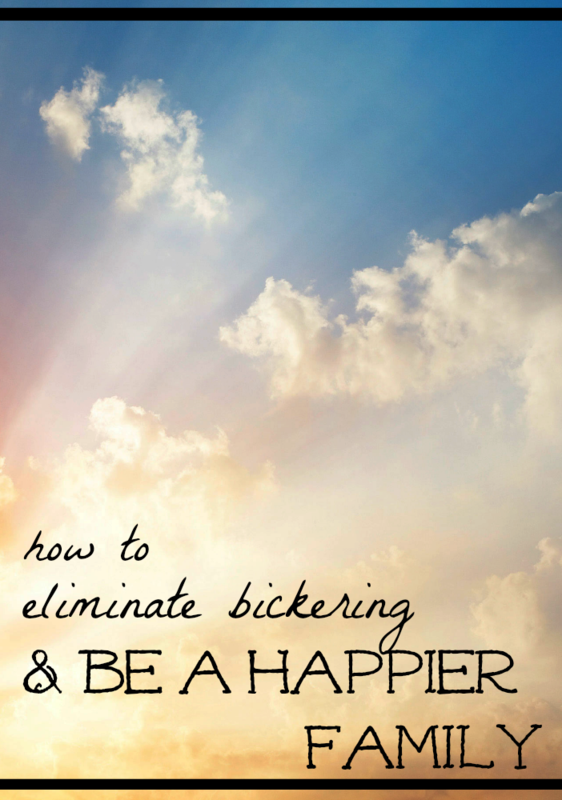 How to Eliminate Bickering– My Day, Your Day: We started this years ago, when Maddy was 5, Owen was 3, and Cora was barely 2 years old, and we used it for a good long time. And we’ve just now brought it back, like a favorite pair of jeans, with Maddy being 8, Owen 6, and Cora 5. And I’ve realized that we really needed it. As the kids get older, they naturally have more freedom; they have–and need–more room to move. Which means more time to play together downstairs, out back, or in their rooms. Which means m ore opportunity to bicker over little silly things. Sure, we often jump in when we need to, to help them work through conflicts, struggles, and challenges. But this lil baby makes things easier for us. And I have faith that this simple, little Quick Trick will hopefully make this parenting gig a wee bit easier and reinforce for our kids the need for patience, turn-taking, and priority. 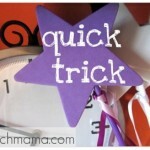 Do you have a Quick Trick–something that has saved your sanity on more than one occasion? Hold tight. I’m going to start asking the experts–YOU!–to share yours! I can’t tell you how timely this is for us!! I have been going nuts. 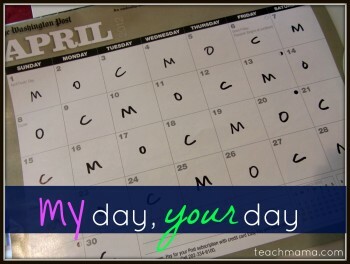 I can’t wait to introduce the girls to “My Day Your Day!” Thanks as always for a great idea! Stacey–YAY!! Hope it works for you, my friend–let me know how it goes, how you adapt it for your fam, and what the girls think!! HUGE thanks for reading and for taking the time to write, Stacey!! My mom used to do this for us! I was born on an even numbered day and my brother was born on an odd one so that’s how we determined which day was “ours!” It’s a great trick that we use too! YAY!! Thank YOU for the feedback, for reading, and for taking the time to write, my friend!! Let me know if you use it and how it goes!! I do this in my classroom, too – I call it “Classroom Captain.” That student gets any responsibilities I need to assign (e.g. distributing handouts) but they are also the person other students need to ask when want to use one of the sensory tools (e.g. Swiss ball chairs) in our room, etc. Again, a great way to end bickering, and no one ever claims I’m being unfair or playing favourites. Because I post the list of the students’ names in alphabetical order, students can keep track of who is captain themselves. Love this trick! I LOVE the ‘Classroom Captain’ idea! Thanks so much for sharing a super way of adapting it for the classroom–awesome!! Oh my….i thought my girls were the only ones to fuss over everything. Thank you for sharing this and other things, you have really helped me out on lots of things. God bless you and what you do. Samm–You are not alone, my friend. Thanks so much for your kind words–and know that we’re all in this together, learning as we go! Best to you! We have been doing a version of this for years. I have two kids and we do a schedule of weeks instead of days. Our problem was mainly who got to ride in a certain seat in the car. We tried alternating days but it became difficult because if we didn’t go anywhere on a certain day then we had arguing about “last time it was her turn, we didn’t go anywhere yesterday so it should be my turn today…”. I eliminated that fight by assigning weeks. One week is entirely my daughter’s, one week is entirely my son’s. It is easier for me to keep track of and stops the constant counting of “she got more time than I did”. We use this system for other things too, like if we are going out to dinner and they are arguing about which place we go, the kid of the week gets the choice. It really has silenced a ton of nit-picky arguments. Crystal. . . ahhhh, the perpetual seat-in-the-car argument. 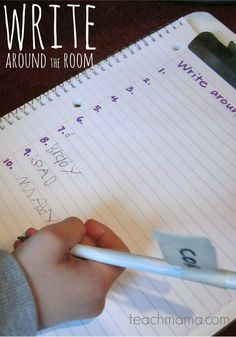 Great idea to assign weeks–I can see that would make things easier, too. I LOVE how through trial and error we figure out what works best for our own little crews. Thanks a ton for reading, and huge thanks for taking the time to write!! Laura! I LOVE it!!! If I had 6 kids, you better believe I’d do the same. ANd what a riot that your parents gave themselves a day–and that you still consider Monday YOUR day!! It must be the same way I consider blue MY color, because growing up, everything I had was blue, and my three sisters had yellow, red, and green. I still associate them with those colors. . . and your mom calls each child on hid or her day??! I LOVE HER!!! How did you know we needed this? Have you been spying on us? Seriously, what a great idea! I can’t wait to try it out. However, I do have a concern. Do y’all use this only for when their is an argument or does that child automatically get to choose first on everything? For example, I have one that I know will want everything his way all day long. Which I don’t mind as long as he’s not doing it just so he can “rule” over the other two. I worry about it turning into that. And seriously, I even think that if I made the rule it was only for arguments, he might create arguments just to have his way. Thank you! This is what I needed to hear to make it work in my head! Ironically, my husband and I instigated a an odd day/even day for us because we struggled to be the one to make decisions. I’m a little stupified that I never thought to use this with my boys! How fabulous I love it! I think this will help split up some of the control struggles in the house as well as my oldest boy has a bit of a control issue and my younger son feels stepped on. The magic of this is that it falls on the calendar and not mamma picking and choosing which is always unfair to the person not getting their way! Thanks so much! Yay!! You are so welcome–thank YOU for reading and taking the time to write, giving me this feedback. Please let me know how it goes!!! LOVE-LOVE-LOVE the idea….how can I apply this for 12 kids? Thanks for this, some of the simplest ideas are the greatest blessings. I just wish I had known about this for the last 8 years. Oh well, it will still get a lot of opportunities to work it’s magic. I am downloading calendars as we speak. I love this idea. My only issue is going to be the planning. I have 3 little girls with almost the same initials. lol! They are also pretty little (all under 5) so I might have to teach them their nic names first, then have a go at it! HA!! let me know how it goes, my friend!! well they can even each have a symbol or color for their day–my mom gave my sisters and me colors growing up: blue, yellow, red, and green. . . I STILL think ‘blue’ is MY color! 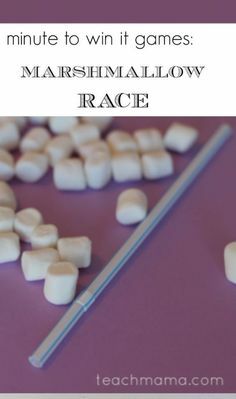 This method has saved the peace in our house for years! My girls still use odd and even days as teenagers. The privileges (like what show to watch or who drives or who sits on what sofa) along with the chores (let the dog out, empty the trash) are on their day. We also have used a magnet system for emptying the dishwasher because it is not an everyday occurrence. Each girl has a magnet with their initials on it on the frig. If your magnet is on the left side next to the DW then its your turn to empty it. After emptying, switch the magnets.